The comedy follows the exploits of 11-year-old Alexander as he experiences the most terrible and horrible day of his young life - a day that begins with gum stuck in his hair, followed by one calamity after another. 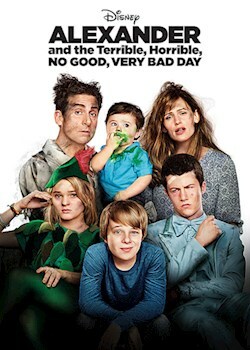 But when Alexander tells his upbeat family about the misadventures of his disastrous day, he finds little sympathy and begins to wonder if bad things only happen to him. He soon learns that he's not alone when his mom, dad, brother and sister all find themselves living through their own terrible, horrible, no good, very bad day.